Inspire Brands today announced that Lyle Tick has been named President of Buffalo Wild Wings, the largest sports bar restaurant chain in the country. Inspire Brands is a multi-brand restaurant company whose portfolio includes more than 4,700 Arby’s, Buffalo Wild Wings, and Rusty Taco locations worldwide. The company was founded in 2018 and is headquartered in Atlanta, Ga. For more information, visit InspireBrands.com. Buffalo Wild Wings, founded in 1982, is the largest sports bar brand in the United States. Globally, Buffalo Wild Wings has more than 1,200 restaurants in 10 countries. For more information, visit BuffaloWildWings.com. The appointment comes after more than a decade with the regional fast-casual brand. Rick Van Warner has been named CEO of Tijuana Flats, the 135-unit fast-casual Mexican chain. Van Warner had been serving as interim CEO since March and has been a director of the regional chain for more than a decade. His involvement with the brand began in 2001, working with the concept’s founders as a consultant. He was also a joint-venture partner in a single store. Before being named interim CEO, Van Warner ran The Parquet Group, a restaurant consulting firm, and Parquet Crisis Management, a crisis management concern. Earlier, he served in a senior management position for Darden Restaurants, the parent of Olive Garden, The Capital Grille and LongHorn Steakhouse. Van Warner came to that position after serving for a number of years as the editor of Nation’s Restaurant News. Tijuana Flats was started in 1995 by Brian Wheeler. Its restaurants are located in Florida, Georgia, Indiana, North Carolina, South Carolina and Virginia. Mountain Mike’s Pizza, LLC, a leading family-style pizza chain with more than 200 franchised restaurants in California and the West, and known for serving “Pizza the way it oughta be®”, is proud to announce the appointment of Jim Metevier as President and Chief Operating Officer (COO). With more than 25 years of experience in the restaurant industry, Metevier held various positions at YUM Brands including COO of KFC U.S., and most recently served as President of Biscuitville. As President and COO of Mountain Mike’s, Metevier is responsible for driving continued growth in system and franchisee sales and profitability, operational systems and processes, brand marketing and development, restaurant excellence and the overall guest experience. In previous roles, Metevier honed his skills as a business leader and gained extensive experience in all aspects of the restaurant business, from R&D and market planning to operations and business development. He has a notable history of setting and achieving aggressive goals, including driving dramatic sales increases and propelling exponential unit growth, accomplishments he credits to his leadership style and passion for unlocking the potential of people through innovative training programs and fostering a “people-first” company culture. With more than a decade of positive annual system sales growth and franchisee AUVs, and more than 20 new units anticipated to open in 2018, Mountain Mike’s is a brand on the rise. With Metevier on board, the nearly 200-unit brand is primed to continue expansion in existing and untapped markets by extending opportunities to both longtime franchisees and new franchise partners looking to expand their portfolios with a popular family pizza concept. The fast-casual Mexican restaurant chain announced today that it has appointed experienced restaurant industry marketer Ryan Murrin as vice president of marketing. Murrin brings more than 15 years of marketing and advertising experience to his new role at Pancheros. Prior to joining Pancheros, he served as the head of advertising, and research at another fast-casual Mexican concept, overseeing the brand’s integrated marketing and media strategy as well as consumer insights, sports sponsorships, direct response and lifecycle marketing initiatives for more than 2,400 of the brand’s restaurant locations. Murrin’s addition to the Pancheros team comes at a very exciting time for the brand, as it continues to expand nationwide through its franchising plan to ink multi- and single-unit agreements in several mid-sized markets throughout the Midwest, East Coast, and in areas contiguous to its existing markets. Pancheros stands apart from other big-name burrito concepts because of its quality ingredients, fast service and burritos better built. However, almost anyone would agree the most distinguishing factors for Pancheros are its innovations – the fresh-pressed tortillas and proprietary ingredient mixing spatula, BOB the Tool. Friendly’s CEO John Maguire, a former Panera Bread executive who took the helm at Friendly’s just months after the chain emerged from bankruptcy, is leaving after more than six years with the Greater Springfield mainstay. Maguire is leaving to take another job in the restaurant industry, which he said will be announced at a later date. Friendly’s said Wednesday that George Michel, who served as CEO of Boston Market Corp. for eight years, will be interim CEO at Friendly’s. Michel also was CEO at Timothy’s Coffees of the World, Inc., and at A&W Restaurants. Maguire is also leaving his job as CEO of California-based Johnny Rockets Group. 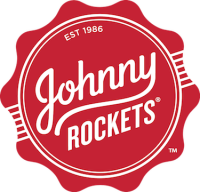 Mike Nolan will take over as CEO of Johnny Rockets. Nolan has been serving as the organization’s president for more than a year. The Friendly’s restaurants, Johnny Rockets and Boston Market are all owned by Sun Capital Partners, an investment firm so diverse it also owns Ames Drywall Finishing Tools and Services and the British women’s clothing chain Bonmarche. Maguire took over Friendly’s in April 2012, just four months after the chain emerged from federal bankruptcy protection. That bankruptcy wiped away $297 million in debt and closed more than 100 locations, nine of them in the Springfield area. At the time, Friendly’s had 254 restaurants — 121 company-owned and 133 franchised. Today, it’s down to 230 locations evenly split between franchises and company-owned. Friendly’s restaurants closed this year in Bourne, Gloucester, Ludlow, South Hadley and Westfield. The company has 7,000 employees. That doesn’t count those who manufacture Friendly’s Ice Cream. Friendly’s sold its retail ice cream and manufacturing business to Dallas, Texas-based Dean Foods Co. in 2016 for $155 million. Dean sells ice cream to supermarkets and Friendly’s restaurants. Friendly’s has opened new locations, including at the Apex Center in Marlborough and in Merrimack, New Hampshire. Friendly’s hopes to add five to 10 stores by 2019. This summer it renovated two Connecticut locations — Manchester and Windsor Locks — into a fast casual concept where customers order at the counter and then have their food brought to them. Maguire also spearheaded other changes, like the return of drive-thru windows at Friendly’s and the Friendlier Prices menu in greater Springfield. Brothers S. Prestley and Curtis Blake founded Friendly — the apostrophe-s wasn’t added until years later — in 1935 in Springfield and grew the company quickly in the years following World War II. The brothers, both still living past their 100th year, sold to Hershey Foods in 1979. The company changed hands a few times before becoming an independent corporation, and Pres Blake fought a long battle against a previous management regime he felt was destroying the brand and its legacy. It was Pres Blake’s activism that resulted in his opponents selling the company in 2007 to Sun Capital for $337.2 million. Moe’s Southwest Grill®, a leading fast casual restaurant franchise, announces new leadership for marketing and operations – Verchele Wiggins Roberts has been appointed to Marketing Vice President and Jonathon Gilliam to Operations Vice President. Responsible for driving multi-channel global marketing strategy to increase brand relevance and engagement, Verchele is additionally leading culinary innovation to develop new products and build on existing platforms. Most recently, Verchele was the Marketing Vice President at United Services Automobile Association (USAA) where she led national advertising campaigns, content marketing and creative development for all lines of business. Prior to USAA, Verchele spent 14 years at InterContinental Hotels Group (IHG) where she led global marketing and branding efforts for some of the world’s largest hotel brands including Holiday Inn and Holiday Inn Express. Verchele began her brand management and marketing career at Proctor & Gamble (P&G) working on household brands including Vicks, Crest and Scope. Jonathon Gilliam joins Moe’s as Vice President of Operations to lead company and franchised operations as well as training across the brand’s portfolio. Jonathon will support our franchise system with continuous operations improvements including product quality, consumer experience and best in class training programs. Moe’s Southwest Grill has been serving craveable southwestern food since 2000. Our fans know us for the unique and fun “Welcome to Moes!” greeting, famous queso and free chips and salsa with every order – just to name a few. To stay connected to all things Moe’s, follow the brand on Facebook, Instagram and Twitter. To find the nearest location to you, visit www.moes.com. Welcome to Moe’s!® Founded in 2000 and based in Atlanta, GA, Moe’s Southwest Grill® is a fast-casual restaurant franchise that serves high quality and fresh southwestern food. Moe’s has an extensive variety of menu items to please the entire family – from burritos to specialty items like quesadillas, nachos and stacks. Whether you visit one of our 700 franchised locations or have us cater your next event, free chips and salsa come with every order, and each restaurant has a salsa bar and serves our famous queso. Moe’s Southwest Grill® has been recognized as the Brand of the Year in the Fast Casual Mexican Restaurant category for two years in a row based on the 2016 and 2017 Harris Poll EquiTrend® Studies. Check us out online at www.moes.com to find a store near you, and then connect with us on Instagram, Twitter and Facebook. Tom’s Urban, a fast growing eater-tainment concept and modern casual dining restaurant, today announced the appointment of Shannon McNiel as President and Chief Operating Officer. Leveraging over 20 years of experience in the restaurant industry, McNiel will focus on overseeing, developing, and setting the direction for Tom’s Urban’s operational activities. Today, Chili’s® Grill & Bar announced Kelli Valade is leaving her leadership role with the brand. Valade will join TDn2K™, parent company of People Report™, Black Box Intelligence™ and White Box Social Intelligence™, as president and CEO. In the interim, Wyman Roberts will once again step in as president of Chili’s. CEC Entertainment, Inc., which operates Chuck E. Cheese’s and Peter Piper Pizza restaurants, today announced the appointment of James “Jim” A. Howell as Chief Financial Officer, effective Sept. 17, 2018. Howell will replace Dale Black, who is retiring effective Sept. 21, after many contributions to the company. Howell will work closely with Leverton and other senior leaders to lead strategic initiatives across the company as well as manage all financial aspects of the business. Howell joins CEC with a long-standing and successful career in the retail and financial services industries. Most recently, he was the Chief Financial Officer of Australian retailer Billabong International Limited and prior to that served in senior financial positions at Nordstrom, Inc. and Blockbuster, Inc. He began his career at PricewaterhouseCoopers servicing clients in retail and financial services industries. CEC Entertainment is the nationally recognized leader in family dining and entertainment with both its Chuck E. Cheese’s and Peter Piper Pizza restaurants. As the place where a million happy birthdays are celebrated every year, Chuck E. Cheese’s goal is to create positive, lifelong memories for families through fun, food, and play and is the place Where A Kid Can Be A Kid®. Committed to providing a fun, safe environment, Chuck E. Cheese’s helps protect families through industry-leading programs such as Kid Check®. As a strong advocate for its local communities, Chuck E. Cheese’s has donated more than $16 million to schools through its fundraising programs and supports its new national charity partner, Boys and Girls Clubs of America. The Company and its franchisees operate a system of 607 Chuck E. Cheese’s and 147 Peter Piper Pizza stores, with locations in 47 states and 14 foreign countries and territories. For more information, visit Chuck E. Cheese’s or connect with us on social media. Cooper’s Hawk Winery & Restaurants today announced the appointment of Michael Coyne as Chief Financial Officer, effective October 1. Mr. Coyne brings to Cooper’s Hawk more than 30 years of experience in leadership positions across a variety of top tier companies. Most recently, Coyne served as Chief Financial Officer at Potbelly Corporation, which included a period as interim Chief Executive Officer. Prior to joining Potbelly, he served as Senior Vice President, Small Business at CNA Financial Corporation, and as Chief Financial Officer of CNA’s Property & Casualty Operations business. He also spent seven years at Sears Holdings Corporation, culminating as Vice President and Treasurer. Michael also held various financial roles at Schering-Plough Corporation. Michael, a Certified Public Accountant, began his career with Ernst & Young. “I look forward to joining Tim and the unique culture he has created at Cooper’s Hawk. I’m also looking forward to adding my experience in public company operating and finance roles, investment community relationships, and strategic leadership to the talented Cooper’s Hawk team,” said Mr. Coyne. As CFO, Coyne will report directly to Tim McEnery, and will oversee the company’s finance, accounting, financial planning and analysis, internal audit, tax and treasury areas of the business. Coyne completed his undergraduate work in Accounting at the University of Illinois, Urbana-Champaign, and received an MBA from the J. L. Kellogg Graduate School of Management at Northwestern University. He and his wife currently reside in Hinsdale, IL with their three children. For more information, please visit https://www.gameworks.com/, or connect with the Company on LinkedIn, Twitter and Facebook. California-based Healthy Dining is proud to announce the appointment of Michael Ki as its Vice President of Technology. Michael will be leading the development of Healthy Dining’s digital and mobile technology, which fills market gaps in the consumer eating and restaurant menu management/ordering landscape. He will also be building, leading, and supporting Healthy Dining’s technology team as the company grows its digital footprint to world-class status. Michael worked for nearly 20 years previously as the director of technology for the University of California, San Diego (UCSD), as well as a software and systems engineer with two startups. His expertise spans a wide range of management, technical and consultative services related to application development, acquisition, use, and maintenance of computer and network software and hardware. Embracing the opportunity to join Healthy Dining, Michael explains, “I share in the company’s vision and mission to improve the health of our nation as well as my own. My wife and I just had our second baby, and I can’t think of a better mission to lead than one that will make the world a healthier place for our future generations. Healthy Dining is the most experienced restaurant nutrition services provider in the world, supporting restaurants of all types and sizes. Services include nutrient analysis, allergen and gluten identification, and validation of attributes such as “organic,” “clean,” “vegan,” and other terms. Healthy Dining has conducted numerous research projects supported by the National Institutes of Health in the area of restaurant nutrition. The company’s signature site, HealthyDiningFinder.com, is the only search engine of its kind helping Americans easily find better-for-you menu choices at thousands of participating restaurants coast to coast. Healthy Dining recently launched MyMenu,® a “virtual menu concierge” that gives guests unprecedented personalization functionality to find menu items based on personal health needs and lifestyle preferences. This groundbreaking technology – accessed on the restaurant websites, mobile apps, and/or tablets and kiosks within the restaurant – is poised to revolutionize how guests choose restaurants and find menu items aligned with personal goals and preferences. The MyMenu platform, now launched with more than 1,000 restaurant locations, will soon be available at an enterprise level for universities, health and wellness organizations, weight and diabetes management, wearables and other wellness-focused industries. Paris Baguette, the Parisian-inspired fast casual global bakery, announced the appointment of John P. Billingsley as Chief Development Officer. Mr. Billingsley will be responsible for developing and implementing a diverse channel growth strategy, including dedicated concept application, financial modeling and successful domestic deployment. Billingsley brings more than two decades of experience to his role at Paris baguette, having held leadership roles with brands such as Au Pon Bon and Papa Gino’s. Most recently, John served as Chief Development Officer at Le Pain Quotidien USA, where he lead reorganization efforts to ensure a successful domestic expansion, yielding a combined return on investment in excess of 40%. Furthermore, he developed and implemented a real estate growth plan that included a diversified channel and geographic strategy. Paris Baguette is a global brand that operates more than 70 corporate and franchise locations throughout the U.S., and over 3,000 internationally. The fast-casual French inspired bakery-café was founded in 1988 and bakes delicious fresh bread daily on site. 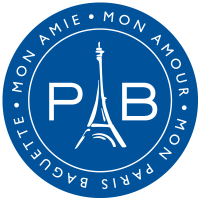 Paris Baguette’s mission is to bring happiness to everyone by adapting to people’s ever-expanding palates with their decadent, unique and sophisticated pastries, breads, and cakes. The growing bakery chain serves a variety of treats ranging from appetizing snacks to stunning and delicious cakes for all occasions, as well as chef-inspired sandwiches and salads. For more information, visit www.parisbaguette.com. Captain D’s, the nation’s leading fast casual seafood restaurant, announced today that Chris Kuehn has joined the company as chief marketing officer. Kuehn brings 30 years of industry experience leading the marketing activities of several national food service brands and specializes in strategic growth plans that drive innovation and increase sales. In his new role, Kuehn will be responsible for developing and implementing Captain D’s marketing strategies to further drive brand awareness and support the company’s ongoing expansion throughout the country. “The driving forces behind the impressive success Captain D’s has achieved over the past several years are its unique and highly differentiated brand position in the marketplace that is supported by an engaged and growing Franchisee base and superb Sr. Leadership team. I am privileged to be joining the D’s system and look forward to contributing to the accelerated growth of this iconic American brand,” said Kuehn. Headquartered in Nashville, Tenn., Captain D’s has more than 530 restaurants in 22 states. Captain D’s is the nation’s leading fast casual seafood restaurant and was named the #1 seafood chain in the QSR 50, ranked by AUV. Founded in 1969, Captain D’s has been offering its customers high-quality seafood at reasonable prices in a welcoming atmosphere for more than 48 years. Captain D’s serves a wide variety of seafood that includes freshly prepared entrees and the company’s signature hand-battered fish, which is cooked to order. The restaurants also offer premium-quality, grilled items such as shrimp, and surf and turf, as well as hushpuppies, desserts and freshly brewed, Southern-style sweet tea, a Captain D’s favorite. For more information, please visit www.captainds.com. Red Robin Gourmet Burgers, Inc. (NASDAQ: RRGB), a full-service restaurant chain serving an innovative selection of high-quality gourmet burgers in a family-friendly atmosphere, today announced a change in the Company’s restaurant operations leadership. Guy Constant, who currently serves as the Company’s executive vice president and chief financial officer, will move to the role of executive vice president and chief operating officer for Red Robin upon the hiring of a new chief financial officer and transfer of duties, anticipated in early 2019. The Company has begun an executive search for a new chief financial officer as part of Mr. Constant’s transition to Operations leadership for Red Robin. Mr. Constant will be replacing Carin Stutz, who served as Red Robin’s executive vice president and chief operating officer since April 2016, and is leaving that role effective immediately. Denny Marie Post, Red Robin’s president and chief executive officer, will serve as interim COO through the remainder of 2018, as Mr. Constant transitions to his new role and while the search for a new CFO is underway. Home Run Inn, the family-owned pizza empire that grew from a single Chicago tavern, has elevated Dan Costello from president to CEO, succeeding Joe Perrino, who died last month. Costello, 46, who runs Home Run Inn’s nine Chicago-area restaurants, will take the helm from his late uncle, overseeing a business that generates more than $80 million in annual revenue, including a frozen pizza brand that now reaches 35 states. Costello has had his hands in the family dough for 33 years, starting as a busboy at age 13, and moving on to sausage grinder as he worked his way up the corporate ladder. He joined the family business full time in 1994 after graduating from the University of Notre Dame. Founded by Costello’s great-grandparents, Mary and Vincent Grittani, Home Run Inn began serving pizza at its Little Village tavern on the South Side in 1947. Now based in suburban Woodridge, Home Run Inn has expanded to nine restaurants in Chicago and the suburbs, with a 10th location set to open in Chicago’s Bronzeville neighborhood next year, Costello said. Costello will continue to directly oversee the restaurant chain, which accounts for about 30 percent of Home Run Inn’s annual revenue. The frozen pizza division, which will continue to be headed by Mark Carlson, generates the majority of the company’s revenue, and it will be business as usual going forward, Costello said. Joe Perrino, whose father, Nick Perrino, and grandmother, Mary Grittani, created the original tavern pizza, started running the family business in 1990, guiding its dual growth as a local Chicago restaurant chain and regional frozen pizza brand. He died last month at the age of 64 after suffering a heart attack in Florida, the family said Wednesday. For Costello, ascending to CEO in the wake of his uncle’s death is bittersweet. Part of Perrino’s legacy, he said, was mentoring him over the years, while preparing the family business for just such a succession. El Pollo Loco, Inc. (“El Pollo Loco” or “Company”) (Nasdaq: LOCO), the nation’s leading fire-grilled chicken chain, today announced the appointment of Jennifer Jaffe as Senior Vice President and the company’s first-ever Chief People Officer. Ms. Jaffe brings years of proven leadership and experience leading HR and talent management functions to this newly created role. Ms. Jaffe comes to El Pollo Loco from Estée Lauder, where she led the human resources function for Too Faced Cosmetics and oversaw the company’s acquisition by Estée Lauder in 2016. Prior to Estée Lauder, Ms. Jaffe was Vice President of Human Resources at AT&T, where she served on an HR leadership team to support more than 13,000 employees. Before that, she was the Vice President of Talent Development at DIRECTV prior to its merger with AT&T, where she led the end-to-end talent management strategy for the entire corporation, including the creation and execution of the talent review process for more than 3,000 leaders and oversaw the company’s leadership development and learning programs. In her role as Chief People Officer, Jaffe will be responsible for overseeing all of the company’s HR functions and working with management to transform and accelerate the company’s focus on developing a people-first culture for El Pollo Loco’s Support Center and more than 480 company-owned and franchised restaurants. El Pollo Loco’s commitment to a people-first culture includes the recent launch of an extensive training program called Heart-Centered Leadership based on inspiring its workforce to lead with authenticity, humility and transparency. The company has also invested in Workplace by Facebook in all company-owned restaurants, a social media platform designed to help eliminate communications barriers between the support center and restaurant employees, enabling robust operational dialog in real time, while also further building a sense of community. Ms. Jaffe earned a Bachelor of Arts in both International Studies and Sociology from University of California of Irvine and a Master of Science in Human Resources from Chapman University. She also serves on the Board of Directors for Girls, Inc. of Orange County, a non-profit organization that provides mentoring and research-based programming to equip girls to navigate gender, economic, and social barriers. El Pollo Loco (Nasdaq:LOCO) is the nation’s leading fire-grilled chicken restaurant chain renowned for its masterfully citrus-marinated, fire-grilled chicken and handcrafted entrees using fresh ingredients inspired by Mexican recipes. With more than 480 company-owned and franchised restaurants in Arizona, California, Nevada, Texas, Utah, and Louisiana, El Pollo Loco is expanding its presence in key markets through a combination of company and existing and new franchisee development. Visit us on our website at https://www.elpolloloco.com/. Inspire Brands today announced that Seth Freeman has been named Chief Marketing Officer of Buffalo Wild Wings. As CMO, Seth will lead all brand experience, culinary, advertising and digital efforts for Buffalo Wild Wings. Prior to joining Buffalo Wild Wings, Seth was with Intercontinental Hotels Group (IHG), where he worked across several brands within the mainstream portfolio, leading high-profile guest experience and design initiatives, partnering with franchisees across over 2,000 locations to drive growth, and overseeing award-winning marketing campaigns for Holiday Inn Express. Most recently, he was the Head of Global Brand & Commercial Performance for Holiday Inn. Prior to IHG, Seth was a Senior Brand Manager at The Coca-Cola Company, where he led end-to-end brand stewardship for Gold Peak Tea and sponsorship integrations with NASCAR and FIFA World Cup for the Coke brand. Ruth’s Hospitality Group, Inc. (“RHGI” or the “Company”) (NASDAQ:RUTH) announced today that Marie L. Perry has been appointed to serve as an independent member of the Board of Directors effective immediately. With her appointment, the Board will be comprised of eight members, six of whom are independent. Ms. Perry will stand for election by vote of the shareholders at the Company’s next annual meeting. For Ruth’s Hospitality Group, Inc.
View source version on Business Wire: https://www.businesswire.com/news/home/20180824005017/en/Ruth%E2%80%99s-Hospitality-Group-Announces-Appointment-Marie-L.
Shari’s Restaurants is pleased to announce the hiring of Joan Hansen as our corporate Director of Marketing. Hansen will oversee the promotional and marketing efforts for not only Shari’s, but also our Coco’s Restaurants and Bakeries, and Carrows Restaurants as well. Shari’s, the Beaverton, Oregon-based family-dining chain brought Hansen aboard in early August to lead the marketing department for all three brands. Hansen is a restaurant professional with more than 25 years of progressive operations and marketing experience. Her restaurant background includes long-term stints at Mimi’s Café, BJ’s Restaurant & Brewhouse and, most recently, Marie Callender’s Restaurant & Bakery. She is known for taking on large-scale initiatives including curbside take-out, online menu versioning, national sponsorships, comprehensive local restaurant marketing programs, and check-boosting menu redesign projects from concept to launch. Hansen has won awards at BJ’s Restaurant & Brewhouse, including Team Member of the Year, and the Innovation Award at Dale Carnegie. Joan holds a bachelor’s degree from California State University, Fullerton, and has completed seminars in internet marketing at University of California, Irvine, and menu development at the Culinary Institute of America. For more information about Shari’s, please visit: https://sharis.com. Anne Goldman, former senior director of global real estate and development at Krispy Kreme Doughnuts Corp., has joined Biscuitville Fresh Southern as chief development officer. She succeeds Tim Hegarty, who has retired from the company. Prior to joining Biscuitville, Ms. Goldman was with Krispy Kreme for five years. Earlier, she was development manager at Dunkin’ Brands and also worked at Sonic Drive-In, Dollar General and McDonald’s Corp.
Ms. Goldman received a bachelor’s degree in science from Meredith College and a post-graduate certificate in corporate law from Meredith College’s Paralegal Program. Biscuitville is a family-owned and privately-held chain of quick-service restaurants that specializes in Southern breakfast and lunch foods. Biscuitville has locations in North Carolina and Virginia. Mitch Rotolo, CEO of Rotolo’s – the Baton Rouge-based pizzeria – today announced that industry leader Ryan Brach will join the team as Chief Operating Officer. In 1996, Mitch Rotolo opened the first Rotolo’s Pizzeria in Baton Rouge, La., just a pizza throw away from LSU. Over 20 years later, the casual Italian restaurant now has over 30 franchises throughout Louisiana, Texas, Alabama and Florida, with many more in the works. For more information, visit Rotolos.com and connect with Rotolo’s on Facebook, Twitter and Instagram. For franchising information, call 225.367.6400 or visit Rotolos.com/franchise. Paris Baguette, announces the hiring of Jack F. Moran as the brand’s Chief Operating Officer. As the newest addition to the Paris Baguette executive team, Jack will further expand the concept’s footprint in the United States, with plans to reach 1,000 domestic restaurants by 2030. In addition, he will streamline the brand’s menu offerings, curating the best sellers and fan-favorites to elevate the overall customer experience. Moran brings over 20 years of experience to the restaurant management space, both domestically and internationally. Prior to joining Paris Baguette, Moran served as Chief Executive Officer at Le Pain Quotidien USA, where he oversaw the brand’s fiscal, strategic and operational imperatives necessary to grow the 100-unit business. Furthermore, he added more than 35 new locations in a two-year time frame and launched a successful delivery service nationwide, driving incremental sales. Under his leadership, the brand saw aggressive growth in 2017, reversing a negative comp trend. FAT (Fresh. Authentic. Tasty.) 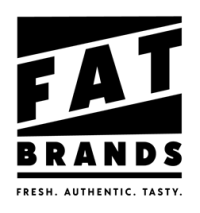 Brands Inc. (NASDAQ: FAT) (“FAT Brands” or the “Company”) announces the hiring of Rebecca D. Hershinger as Chief Financial Officer of FAT Brands. As the newest addition to the executive team, Hershinger will work alongside longstanding President and Chief Executive Officer Andy Wiederhorn to support financial and strategic goals for the Company. Ron Roe will continue as Senior Vice President of Finance for the Company, focusing on the integration of FAT Brands’ recent and future acquisitions. Hershinger brings over 20 years of experience and expertise in finance, accounting, strategic planning, and public reporting to FAT Brands, most recently serving as Chief Financial Officer for Genius Brands International, Inc., a publicly-traded children’s animation studio that creates and licenses multimedia content for toddlers to tweens. In her previous role, Hershinger oversaw all corporate finance and accounting activities, acted as primary liaison with external auditors for quarterly reviews and annual audits, and developed and enhanced internal controls. Hershinger is adept in reporting for public companies, championing corporate development activities, directing regulatory compliance, and risk management. She has cultivated these skills over the course of her career in the finance field through roles at JP Morgan Chase & Co., Metro-Goldwyn-Mayer, Inc., SpectrumDNA, Inc., and Genius Brands as well as CFO Advisory Services, Inc., an accounting and business advisory consultancy she founded. For more information, please visit https://fatbrands.com/. Cincinnati-based elevated sports restaurant franchise Buffalo Wings & Rings has hired industry veteran Joe Dominiak as the brand’s new Chief Operations Officer. A U.S. Air Force veteran and most recently Executive Vice President and Managing Partner at Skyline Chili, Dominiak brings a proven track record and expertise for growing the national footprints of restaurant companies to the role as Buffalo Wings & Rings continues its mission to strategically expand across the country. Born and raised in Buffalo, New York, Dominiak’s love for chicken wings started at a young age when he experienced the famed original buffalo wings from Anchor Bar. When the popularity of buffalo wings skyrocketed and spread, he was skeptical that anyone would be able to replicate the same bold flavor as the originator. It wasn’t until a friend ordered him a batch of buffalo wings from Buffalo Wings & Rings that his mindset shifted and he was instantly hooked. “I stumbled across Buffalo Wings & Rings in Cincinnati. I’ve always refused to buy traditional buffalo wings anywhere I went because nothing compares to the wings at Anchor Bar. The folks who took me out to lunch ordered the original and I tried one and thought they were as good or better than the ones at the Anchor Bar,” said Dominiak. Dominiak’s love of all things Buffalo stretches beyond just wings. The seasoned executive has a vast collection of Buffalo Bills memorabilia and a stuffed Buffalo head in his home. Fittingly, he now joins the Buffalo Wings & Rings brand with extensive franchise know-how and experience leading restaurant brands to new heights. His experience in the industry spans several decades, beginning his career as a market manager for Taco Bell where he ran operations throughout California before moving into roles as the National Director of Training and CHAMPS Brand Leader, ultimately working for Taco Bell for a decade. Next, he served as the Vice President of Operations for Miracle Restaurant Group, a franchisee group with a portfolio including Arby’s and Dunkin Donuts, where he gained valuable experience in applying processes and systems from a larger brand like Taco Bell to a franchisee operation. Dominiak’s career then led to Camp Bow Wow where he assisted in growing a family-run organization to a larger professional franchise system before joining Cincinnati-based Skyline Chili in 2011 where he led franchise and company operations, franchise development and the brand evolution process. After several years with the brand, Dominiak was introduced to Nader Masadeh, the CEO of Buffalo Wings & Rings who was looking for leadership to help the restaurant chain grow beyond its current footprint. After just one meeting, Dominiak felt an instant connection to Masadeh and his mission. “It was a perfect match, from my love of buffalo wings and the chef-inspired menu to the fact that they were on the verge of rapid growth. I knew my unique experience with other concepts could help Buffalo Wings & Rings build wealth for others through their unique franchise offering,” Dominiak said. Buffalo Wings & Wings is targeting growth in several U.S cities including Cincinnati, Dayton, Indianapolis, Lexington and Louisville and recently introduced a “One Franchise Fee for Life” franchise development incentive where franchisees will pay a one-time $40,000 fee, allowing them to open as many approved locations as they please within a development schedule and within current strategic growth areas. This development incentive will end by December 31, 2018. Those interested in the Buffalo Wings & Rings franchise opportunity should have liquid capital of $300,000 or higher and a net worth of at least $1-million. 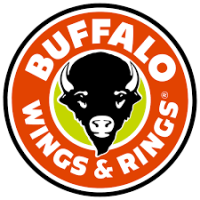 Investment to open a Buffalo Wings & Rings franchise ranges between $1.2-million and $3-million. More information on the franchise opportunity can be found by visiting www.ownabuffalo.com. Established in 1984 in Cincinnati, Ohio, Buffalo Wings & Rings is the ultimate sports restaurant franchise providing a club-level experience with better food, VIP views and our Buffalove ® Service Promise. The franchise is taking game-time to the next level with bright, inviting dining rooms, elevated fan experiences and a chef-inspired menu featuring a rotation of seasonal and diverse limited-time offerings, fresh salads, homemade Bleu Cheese, innovative sandwich options, hand-pressed burgers and fresh, never frozen wings to satisfy every sports fan. With more than 80 units across the globe, Buffalo Wings & Rings is changing the sports restaurant category, bringing elevated food and experiences that are accessible and affordable to all. For more information, visit https://www.buffalowingsandrings.com/. Kona Grill, Inc. (NASDAQ: KONA), an American grill and sushi bar, today announced that its Board of Directors appointed Jim Kuhn to succeed Berke Bakay as President and Chief Executive Officer. Mr. Bakay was appointed as Executive Chairman of the Board of Directors and will remain with the Company in a strategic role. “Leading Kona Grill over the past six years has been a tremendous honor. We’ve doubled the number of restaurants, started franchising internationally and domestically and have positioned ourselves as a truly unique brand serving global cuisine in a contemporary ambiance,” said Bakay. “Jim has done a remarkable job during his tenure with us at improving the profitability of our restaurants and I’m confident that Kona will thrive under his leadership. The executive chairman role will allow me to focus on strategic relationships with our franchise partners, landlords, investors and lenders while Jim will continue to focus on operations and lead the Company towards future success,” he concluded. “I would like to thank James Jundt for his eight years of service as Chairman of the Board of Directors. James has served as a valuable mentor and friend over the years and we wish him well in his retirement,” said Bakay. Kona Grill features a global menu of contemporary American favorites, award-winning sushi, and specialty cocktails in an upscale casual atmosphere. Kona Grill owns and operates 45 restaurants, guided by a passion for quality food and exceptional service. Restaurants are located in 22 states and Puerto Rico. Additionally, Kona Grill has two restaurants that operate under a franchise agreement in Dubai, United Arab Emirates, and Vaughan, Canada. For more information, visit http://www.konagrill.com/. 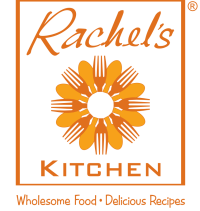 Rachel’s Kitchen – a fresh casual restaurant concept that offers a carefully crafted menu, from the healthy to the indulgent – has announced the hiring of franchise veteran Pat Hiller as Vice President of Franchise Development.